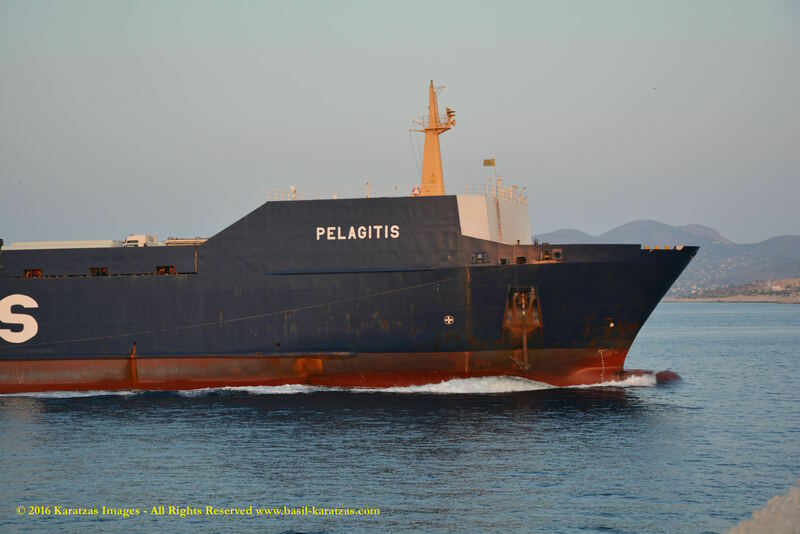 Posted on August 5, 2016 by Karatzas Marine Advisors & Co. 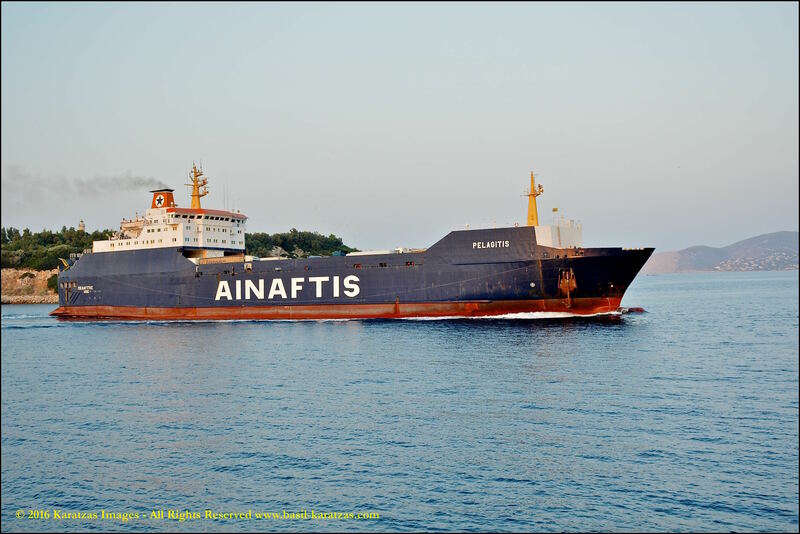 VESSEL DETAILS: Ex-names are Atlantic Freighter, Stena Grecia, Merzario Grecia, Tor Felicia. 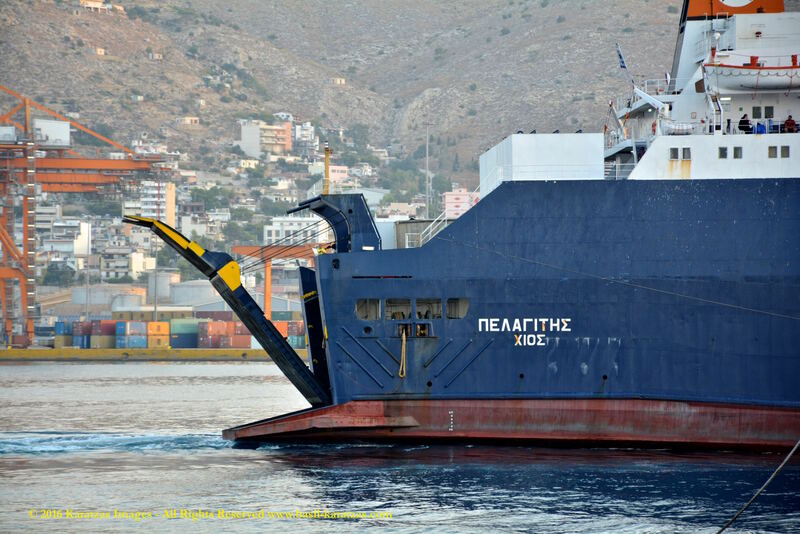 Call Sign SVBC8, IMO Number 7528611. 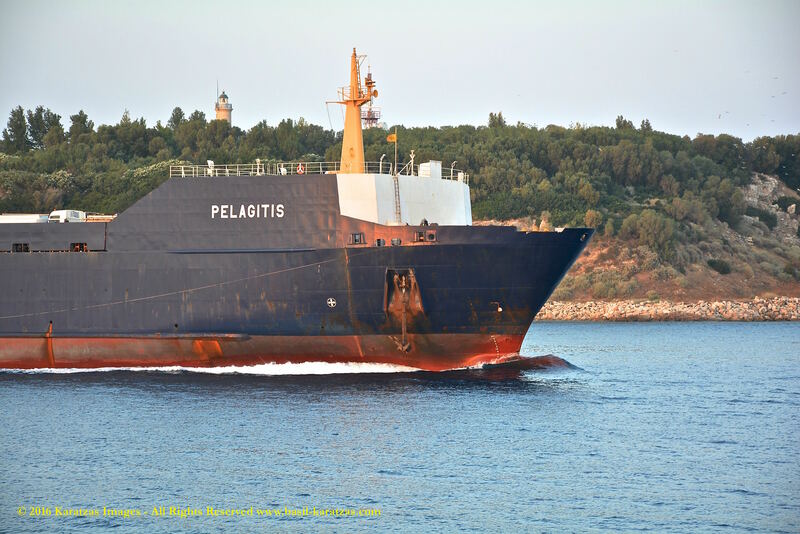 Built at Hyundai HI (Ulsan), Greece Flagged, HR Classed, Ice Strengthened A Class, Length Overall of 154.00 m., Length Between Perpendiculars of 143.00 m., Draught of 7.30 m., Beam of 21.65 m., Gross Tonnage of 13,00, Tonnage of 3,995 International Net and 8,524 Dwt (long). 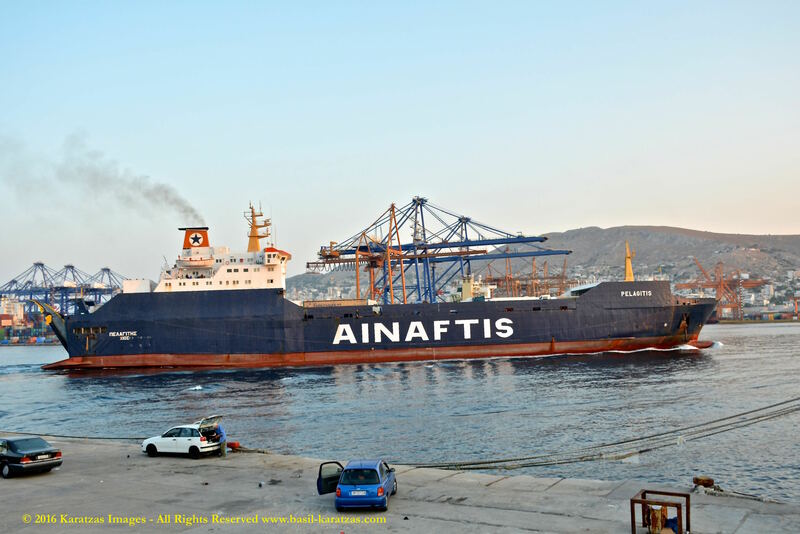 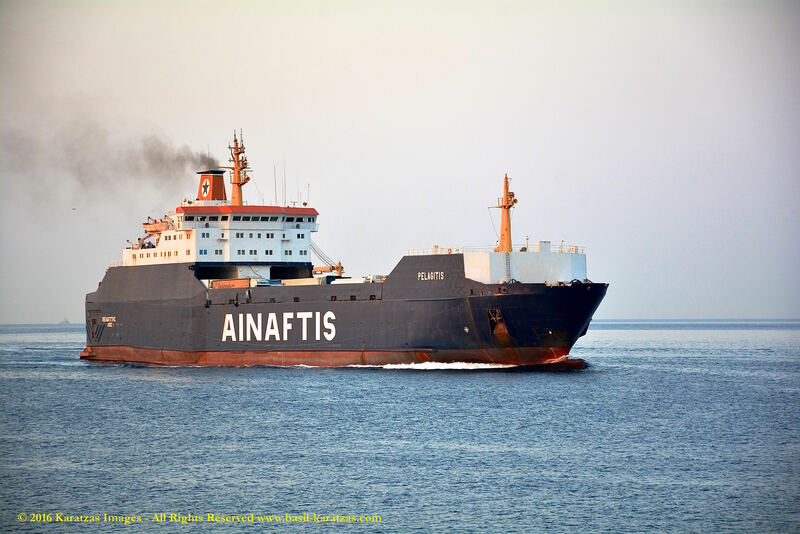 OWNER / MANAGER DETAILS: Ainaftis Shipping Co., Greece. 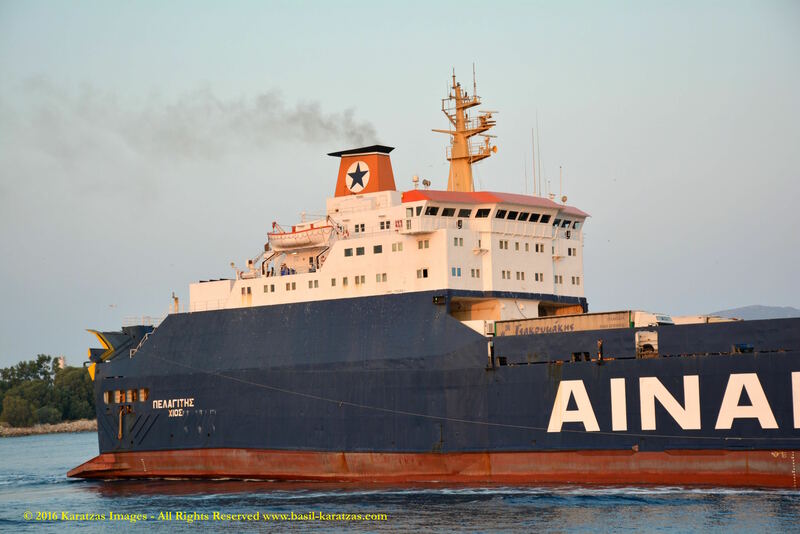 MAIN ENGINE: 2 x Diesel – Pielstick 12PC2.5 – 4-stroke 12-cyl. 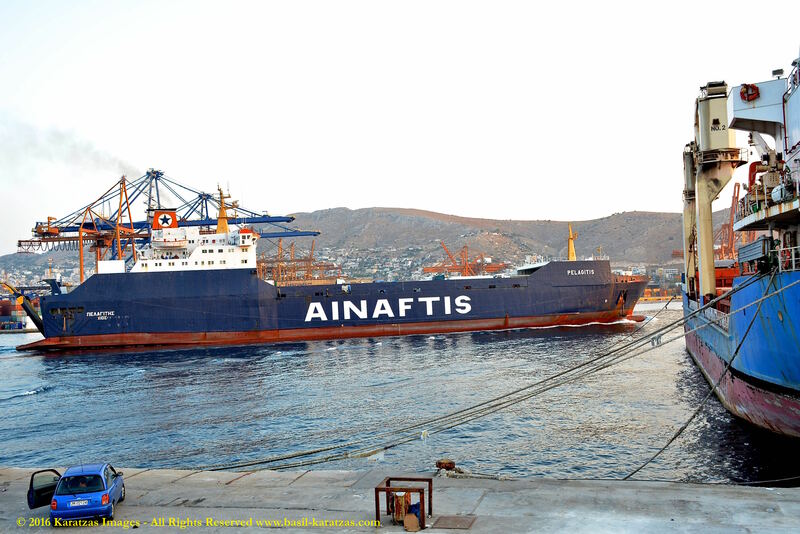 400mm x460mm bore/stroke 11,470mkW total at 520rpm. 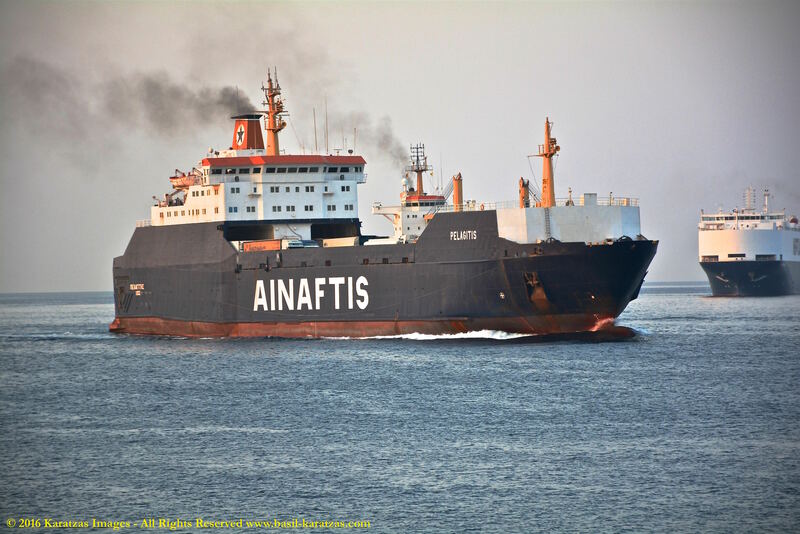 Speed of 16.00 kts at 38.00 tonnes per day, Heavy Fuel Oil, Horsepower of 15595HP. 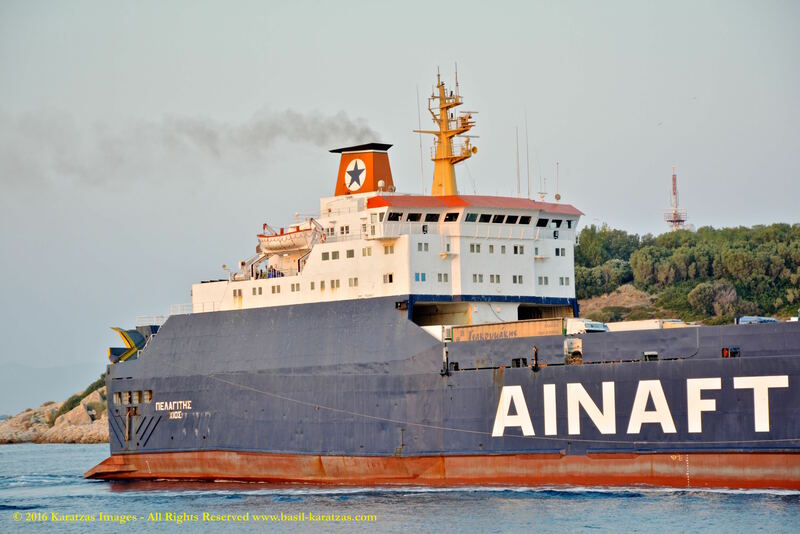 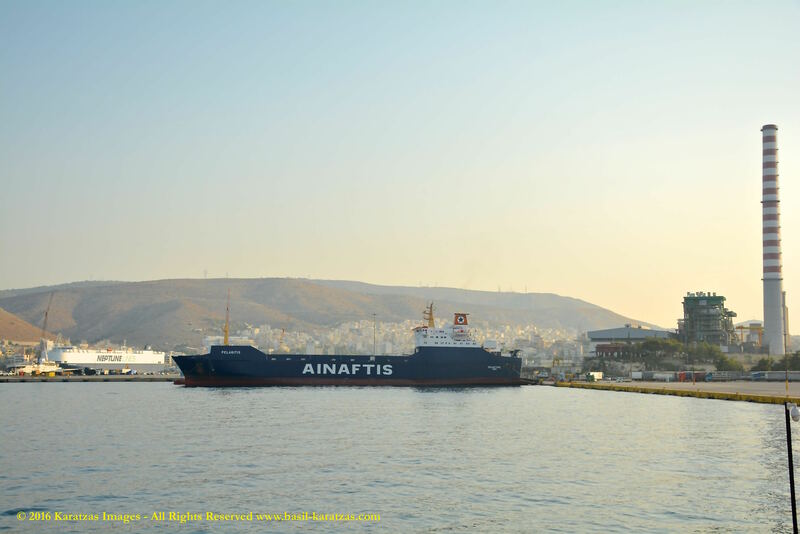 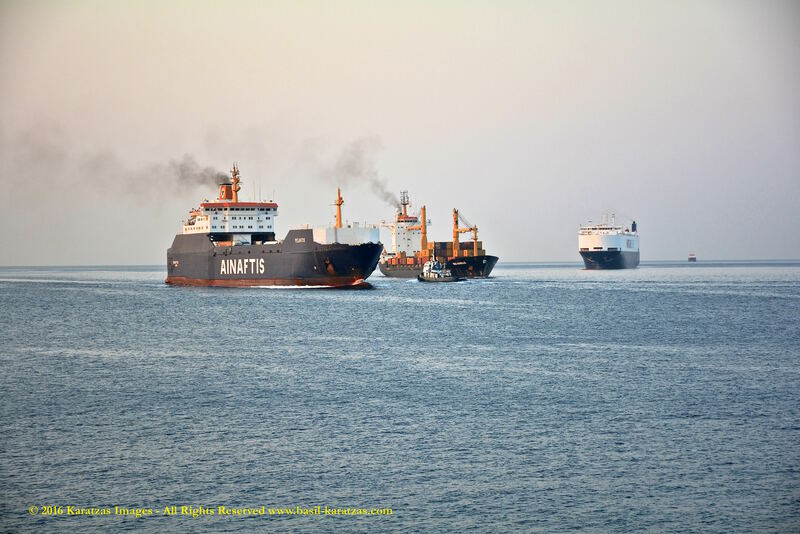 This entry was posted in Port of Piraeus, Ro-Ro and tagged Ainaftis Shipping, Karatzas Images, Karatzas Marine, Port of Piraeus, Ro-Ro by Karatzas Marine Advisors & Co.. Bookmark the permalink.